The Caran d'Ache Varius Silas range is a special numbered edition featuring silver-plated, rhodium coated metal barrels with shimmering blue-grey facets. Each face of the hexagonal barrel uses a silicon coating, producing unique kaleidoscopic reflections that range from blue to grey. 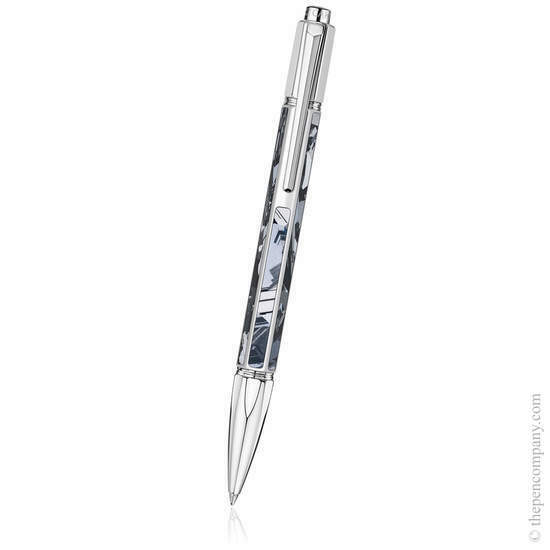 The highly polished metal parts of the pen create a fascinating mirror effect. These Swiss made pens come with a lifetime international guarantee. Each piece has a unique certification number engraved into the clip. 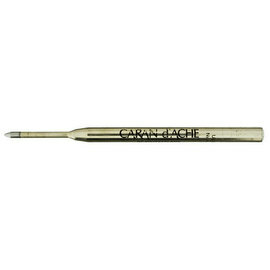 The ballpoint pen accepts the Caran d'Ache ballpoint refill and uses a push button mechanism.